For patients wanting straighter teeth, Comfort Dental Spa offers a variety of orthodontic treatments that help. Our dedicated team provides comprehensive treatment for misalignment, whether mild or significant. We understand that not every tooth straightening method is right for everyone, which is why we offer plenty of options for correcting a crooked smile. 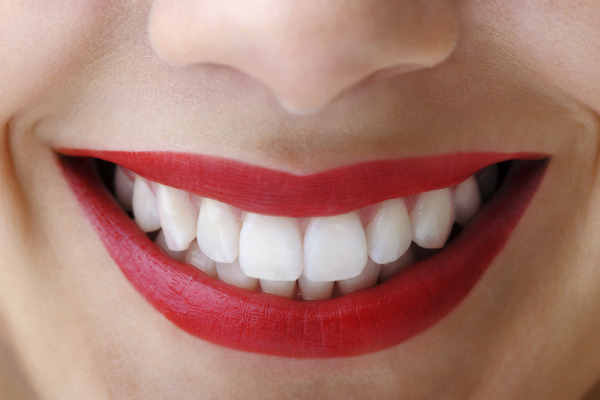 In addition to improving aesthetics, our goal is to reduce the risk of jaw pain, decay, or chipped teeth. Dr. Askari has the extensive training and expertise to address these issues, leaving you confident in your smile’s healthy function and appearance. For more severe orthodontic issues, traditional metal braces offer the most benefit. This method involves affixing metal brackets to each tooth’s surface and using metal wiring and rubber bands to guide teeth into proper uniformity. Dr. Askari has better control over this alignment process, as she can adjust the tension accordingly for optimal results. Some of our patients with milder malocclusion prefer this option over the clear aligner options, as they don’t have to worry about misplacing the removable trays. We also offer Six Month Smiles® for those who prefer the bracket and wire straightening option, but don’t require a longer treatment time. Six Month Smiles takes a modern approach to traditional braces that is often more cost-effective than other treatments. Additionally, the brackets and wires are clear, making this conservative option more discreet as well. Fastbraces® also offers an affordable option for those with mildly crooked teeth. Unique triangular brackets and a specialized wire system work to move the root of the tooth into correct alignment. Typically, you can expect improvement in as little as three months. Our dentists at Comfort Dental Spa also provide removable and less noticeable orthodontic choices. Invisalign® clear aligners use a series of custom-designed trays that gently shift mildly crooked teeth into uniformity. When worn for 22 hours a day, Invisalign wearers can expect results in about a year. We also offer ClearCorrect clear aligners as an alternative. Like Invisalign, this method uses clear removable trays to achieve uniformity. Both of these options provide you more comfort and convenience during treatment, as their customization reduces the irritation caused by metal braces. Contact Us in Farmington Hills Today! At Comfort Dental Spa, Dr. Askari is passionate about providing beautiful cosmetic enhancements for our patients. In addition to traditional metal braces, we offer Invisalign and ClearCorrect clear aligner options for those seeking a more uniform smile. Call our office today to schedule an appointment.